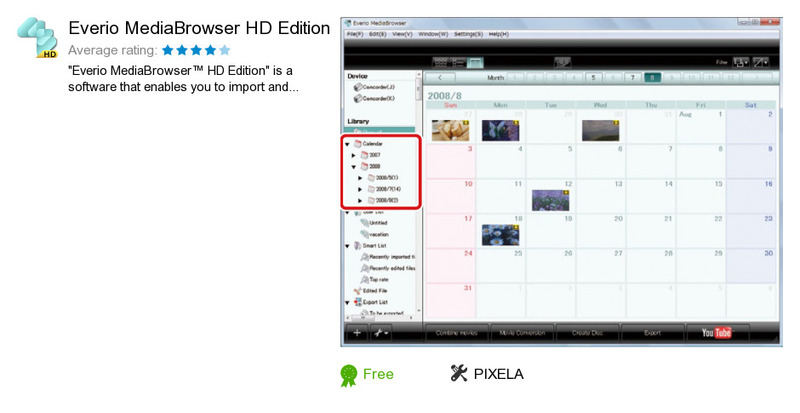 Everio MediaBrowser HD Edition is a software program developed by PIXELA. We know of versions 2.2, 1.3, 1.0. Version 2.2.200.14 is available for download at our site. Everio MediaBrowser HD Edition installation package has a size of 28,204,714 bytes. PIXELA also publishes ImageMixer 3 SE and ImageMixer AVCHD Edition for HITACHI.